This short story is inspired from a real incident, happened on 07th December, 2013 in Ludhiana (Punjab), where a bride was allegedly attacked with acid on the day of her wedding in a beauty parlor. In the real case, sister-in-law of groom was the main culprit as she was divorced from her husband and in rage she planned this attack. 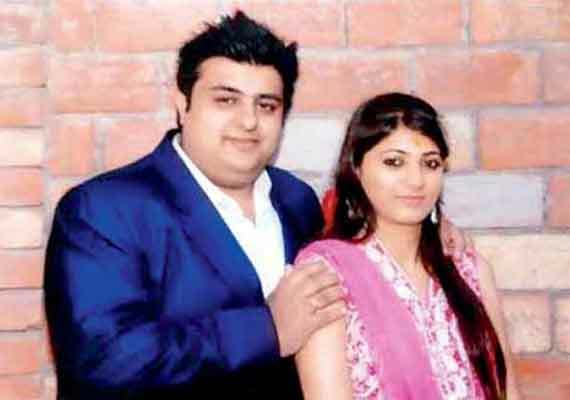 The victim died on 27th December, 2013, after undergoing major surgeries in Ludhiana, and in Mumbai. This story is an inspired one, and does not exactly describes the incident. My prayers and deepest condolences are with the family of victim. May lord bring peace to her departed soul. As the sun descended into horizon at the far end of the city, Sonia thought of her future with Vivek, her would-be husband. They were about to get married, the auspicious day was hardly weeks away. Everything was planned, the shopping had been done, the arrangements had been made, and now if there was something that they both awaited was, that one moment, which will bind them into a bond of forever! ‘Vivek, I am having mixed emotions right now, I’m excited, but I’m sad too…I can’t think about leaving ma and pa!’ Sonia wiped a tear from the corner of her eye. ‘Sweetheart, every girl has to witness this day in her life. You’re not the first one, believe me, it will all be alright. Don’t think too much. Just remember, I love you…’ Vivek couldn’t assure her in any better way! Sonia and Vivek, both were very regular individuals, not super models, but the ones we see around us. Their lives were also very regular, nothing fancy! Sonia couldn’t believe that she was 26 now. It seemed an incident of yesterday only that she threw tantrums for chocolates and her favourite Barbie dolls. Time went by, so fast! ‘Sonia…daughter come down, Tanya is here!’ her mother called her next morning. Sonia rushed, she had called her just two days before wedding, she wondered why Tanya has come when she had invited her only for the wedding function? ‘Hi, how are you?’ Sonia was panting. ‘Come here…’ Tanya pulled her along. ‘You know Uday?’ Tanya hissed. ‘There’s no time to think, Sonia. That guy is still madly in love with you, not exactly love, it’s just sheer madness, read this.’ Tanya handed over a crumpled piece of paper to Sonia. Sonia unfolded it, only to witness the most horrible threat of her life. The handwriting was familiar, Sonia recognized it from her college days. It was Uday’s. Uday was a calm, shy kid, who never talked to anyone, but in the final year, his parents’ sudden demise in a car accident made him almost insane. His love for Sonia was a secret but it came out in the weirdest form when one day Uday confronted her in college with her name engraved on his arm with a knife. ‘Are you out of your mind?’ Sonia’s words were still fresh in his memory. He couldn’t bear one more loss in his life, so he started pressurizing Sonia to marry him. Sonia avoided him, thinking it to be his madness and infatuation. She thought he’ll get over it, with time, but now she was getting suspicious. There was barely one week to her marriage, and this guy was still madly after her. She couldn’t understand what to do. ‘Mom, I want to talk to you…mother!’ Sonia’s pleadings were ignored by her busy mother. Wedding preparations were of course, the priority at this time. Finally, Sonia told her mother everything at night. Her mother told her conservative father whose response wasn’t welcomed by either of them. ‘What the hell is this? If this thing comes out in open, what will we tell Vivek’s family? It will be a matter of utter insult and shame. Drop it and forget it, the guy will understand once she will be married.’ Her father wasn’t ready to listen to anything else. He thought about Uday as a mad kid, who just needed some time. Sonia thought about sharing it with Vivek, but hers was an arranged alliance. She didn’t know Vivek that well. His reaction could be inhospitable and bizarre. Chances of misunderstanding were high, so she chose to be silent. Six days passed by, there was no news of Uday. Sonia also forgot that letter-incident and was totally engrossed in the functions and pre-wedding rituals. Finally, that special day arrived and Sonia was taken to the beauty parlour. The girls dressed and dolled her up beautifully. She looked like a heavenly angel. ‘Vivek is so lucky to have such a gorgeous bride!’ said one of the girls. ‘No, I guess Sonia is lucky, have you seen Vivek? He’s so damn handsome! Tonight’s gonna be a special night, right Sonia?’ the girls giggled. Everyone was teasing Sonia. It was her day after all. She was blushing, smiling, laughing and coyly hiding her excitement. Whatever she thought about being a bride, was all proving out to be false. She always wondered, how could brides be so silent and shy? They are supposed to be happy and dancing all around. And now when she was a bride herself, she understood things better! ‘Excuse me?’ the parlour receptionist asked a random guy who entered in. ‘Oh! That’s wonderful, you can go inside, and meet her.’ the receptionist smiled. The guy went inside. The parlour was filled with brides who were all getting ready for their special day. Sonia was sitting in the front, facing the mirror on the opposite wall, laughing and giggling, and admiring her beauty. ‘Excuse me, bhabhi?’ the guy placed a hand over her shoulder. She turned around to see who it was, and a splash was heard. The guy emptied an entire bottle of hazardous acid over her face. Sonia fell down on the floor, her skin was burning, she was screaming badly. The acid started eating her up. Her face developed blisters and soon she was transformed from a beauty queen, to an ugly monster. 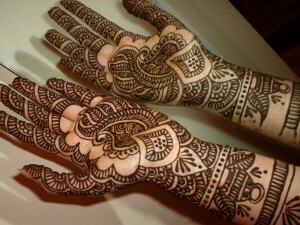 ‘Have a happy married life, Sonia. I’ll always love you. The guy made sure she did face the circumstances. His mad obsession destroyed not only a life, but two families, their wishes, their dreams, their desire to see their kids happy and settled. And Vivek, he was badly torn apart. A guy, who was dreaming about his wedding, faced a crashing reality by losing his fiancé on the wedding day itself. Sonia was scared to leave her family, she didn’t want to leave her parents, and this situation was ironical enough but instead, Vivek was the prey! Sonia was immediately taken to the hospital, but the doctors reported third degree burns on her body. Chances of her survival were thin, but Vivek was hanging on to that thin ray of hope. Hours passed with Sonia inside the operation theatre, but doctors were still sceptical. Where some of her family members were crying and supporting her in the hospital, some were out in the streets, finding the guy who committed such a heinous crime. The doctors gave up, medical science gave up, and Sonia could never be normal again, her life was splintered within fractions of seconds, and she was taking her last breaths. 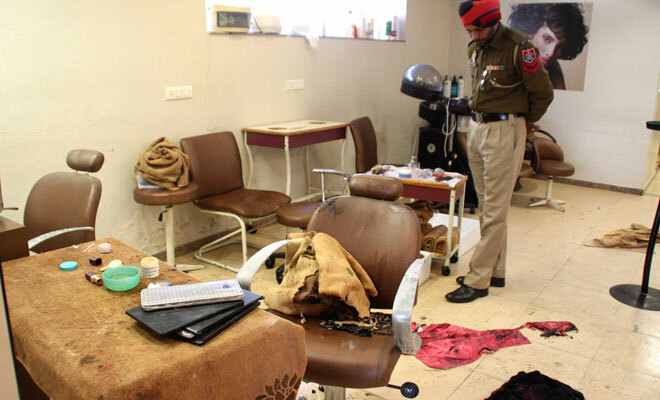 True Image of the Beauty Parlor in Ludhiana (Lakme Salon) where the incident happened. i want to discuss something regarding this case….